Will the board of Uber approve CEO Travis Kalanick's idea of a three-month-long leave of absence? Uber's bleeding executives faster than it's burning its stockpiles of cash, and it's showing no signs of slowing down. The ride-hailing service, valued at US $70 billion, has been spending heavily to undercut its competition and expand to as many places as possible. This may be a step in the right direction, but a lack of discipline within the company, with executives turning a blind eye towards the toxic corporate work environment, has now led to an exodus of managers and executives. Many roles at Uber have been lying empty in the aftermath of the departure of many high-profile executives from the company. It all began in February when a former employee made a blog post alleging incidents of sexual harassment and discrimination. Susan Fowler, the complainant, said that Uber's HR team had repeatedly ignored her sexual harassment complaints. Shortly after the blog post went viral, Uber CEO Travis Kalanick had announced an internal investigation into these allegations. The results of that investigation were given by Perkins Coie's attorney Bobbie Wilson to more than 12,000 Uber employees on 6 June. The other report, a separate audit by former United States' attorney general Eric Holder, has been reviewed by a couple of Uber board members and is to be released to employees on Tuesday. Both reports cover sexual harassment incidents along with other kinds of discrimination and unprofessional behaviour. More than 20 employees have been fired from the company in the wake of the Perkins Coie probe. One of the high-profile executives to be fired from the company was Uber's senior vice president of engineering, Amit Singhal. According to a report by Recode, Singhal was terminated because he didn't tell the company about a sexual harassment complaint against him while working for his former employer Google. Another executive no longer with the company is Eric Alexander, Uber's head of business in the Asia-Pacific region. This related to the handling of a sexual assault case in India in December of 2014. Alexander had obtained medical reports of the woman who had been raped during an Uber ride in India. Furthermore, Alexander had shown the reports to Travis Kalanick and SVP Emil Michael, along with a number of other executives being told about the records. Uber's directors met for seven hours on 11 June to discuss the findings from the Holder report. One of the recommendations includes the departure of Kalanick's top lieutenant, Emil Michael. This move essentially kills off Kalanick's close friend and ally, and will destabilise the leadership at Uber, at least in the short term. According to the Wall Street Journal, Michael plans to resign as early as Monday. Uber has “unanimously voted to adopt all the recommendations of the Holder Report," according to a report in Recode. Kalanick proposed the idea of some time off, up to three months, after a boating accident last month killed his mother. His father suffered moderate injuries. Kalanick has not taken a leave of absence from the company since Uber was founded back in 2009. Earlier this year, Kalanick acknowledged that his style of management had to change, with Kalanick admitting that he needed to “fundamentally change and grow up." Any sort of reduction in involvement for Kalanick could be seen as a negative by outsiders. 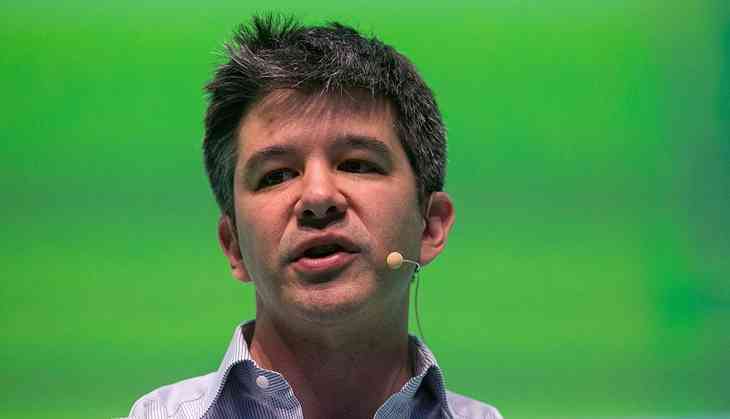 However, as the CEO of the company, Kalanick has been at the centre of the storm. Whether or not the board pushes for this depends upon the findings of the months-long investigation led by Holder. This also comes at a time when Uber is facing an intellectual property dispute with Waymo over self-driving car technology. Seeing Kalanick step down, even temporarily, would come as a surprise, given the large power that he wields at the company. With there being a leadership void, Uber has now hired two women as senior executives. One is the former head of global and consumer marketing for iTunes and Apple Music, Bozoma Saint John. The other, Harvard Business School’s Frances Frei, is joining as senior vice president of leadership and strategy. TWEET THIS #Uber: More than 20 employees fired from the company in the wake of the Perkins Coie probe Will the board of Uber approve CEO Travis Kalanick's idea of a three-month-long leave of absence?